The sun sets. All of us, including the former President of Tunisia, famous journalists, politicians, key figures in science and arts, were busy cleaning up on the vessel. Bear in mind that the coast guard can only legally operate in territorial waters, i.e. within 12 nautical miles from the shore. Three days prior to being captured, the crew, activists and journalists saw an example of how an ordinary coast guard acts when observing the law. On June 26, former Tunisian President Dr. Moncef Marzouki, Knesset member Dr. Basel Ghattas, an Al Jazeera crew, and Ohad Herno, a journalist from Israeli TV Channel 2, arrived onboard the Marianne from Crete. The coast guard, having spotted the Marianne, asked whether the crew needed anything, never leaving their territorial waters despite requesting that we approach closer. The captain thanked them and refused, so the coast guard left. One of the oldest nautical rules adopted 500 years ago and endorsed by the UNO, reads that no nation can extend its sovereignty to or claim control of open seas. And no one has the right to encroach on the navigational freedom of a vessel unless it is involved in human trafficking, piracy or unauthorized TV and radio broadcasting. The Swedish boat Marianne was not in any way related to any of these three crimes. By about 07:00, the soldiers finally managed to fix the engine, yet they couldn’t properly maneuver the vessel. Instead of moving, it was shaking, rocking and going in circles. They decided to try full throttle. Captain Joel responded with a melancholy remark that the only thing they were going to achieve that way was to kill the engine. They slowed down. Their orders were to deliver the vessel to port, but they had no tugboat. Then I was placed into a police wagon. There I found Ana, the Swedish journalist. Soon we were joined by a New Zealand journalist, named Ru. Their case was even more interesting than mine. The Israelis tried to convince Ru that she was not a journalist, but an activist. And to Ana they explained that it would be better for her to write books on female circumcision than neo-capitalism. Our cell contained three iron bunk beds, a close-stool behind a little iron door, a shower behind a similar door and opaque windows under the ceiling with a camera installed in it. We were placed in a special one-story building in a special section of the jail. The walls boasted all sorts of graffiti about freedom for Gaza and Palestine. Ru signs papers and leaves the next day with her cameraman. Now there are two of us left in our cell, and I cannot just go leaving Ana behind. She cannot leave either. The Swedes cannot go leaving Dror Feiler behind. He was the one threatened before the flotilla’s departure, and during the interrogation. Ana and I are playing hopscotch and battleship. We have already discussed Lenin, Trotsky, Marx, Brezhnev, Gorbachev, Yeltsin, the Greece situation, the Sweden situation, the Middle East conflict, the history of Russia starting from the Varangian princes (were they Swedish or not? ), Ikea, Swedish writers, Norwegian writers, Russian writers, fairy tales, composers, and film directors. Turns out Ana has read Velimir Khlebnikov’s poetry. Not many Russians could say likewise. We are willing to stay here as long as it takes them to realize that we are only leaving this place together. Ana asks me to teach her to pray in Russian. Now we pray together, then we do some work out, and then Ana sings songs about freedom in Greek. I’ve heard that Russia’s favourite book by Lindgren is Karlsson. But her best book is about Pippi Longstocking. Nadezhda Kevorkova has worked at RT since 2010, before which she was a special correspondent for ‘Novaya gazeta,’ ‘Nezavisimaya gazeta,’ and ‘Gazeta.’ She covered the ‘Gaza Freedom Flotilla’ in 2008, 2010 and 2011; she also visited Gaza several times during the blockade. In 2010, Kevorkova was nominated for the ‘International Women of Courage’ award. The Gaza Flotilla, a group of three small boats attempting to break the illegal Israeli blockade of the Gaza Strip, has been thwarted, as was expected. 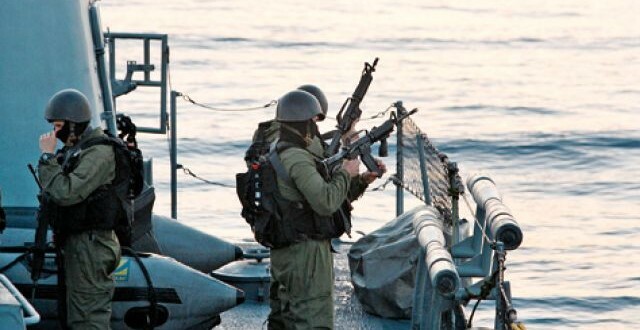 Israel Defense Force terrorists, with their heavily armed vessels, blocked and boarded the first of the small, unarmed boats, and ‘escorted’ it to an Israeli port. It will be interesting to see the international response to this, which was clearly an act of piracy. The boat in question, the Marianne, was nearly 100 nautical miles from shore. The territorial waters of any country extend only 12 nautical miles from shore; anything beyond is considered international waters. So Israel, in detaining the Marianne, was clearly, once again, in violation of international law. Let us break this remarkable statement down to its component parts and see what sense, if any, can be made from it. • “This flotilla is nothing but a demonstration of hypocrisy and lies”. The boats of the flotilla were carrying international peace activists and dignitaries, including a former president of Tunisia and a current member of the Knesset. They were completely unarmed, and were carrying only medical supplies and solar panels. Although they did not expect to successfully breach the blockade, they did intend to bring attention to it. So where, one might reasonably ask, are the ‘hypocrisy and lies’ that are so concerning to the Prime Murderer? The blockade exists, and has for years; the 1,000,000 -plus people of Gaza are considered to be living in the largest open air prison in the world. Exposing that fact is neither hypocritical nor dishonest. Bringing aid to them, in the form of desperately-needed medical supplies and solar panels to provide electricity, also cannot be considered ‘hypocritical’ or ‘dishonest’. • “Assisting the Hamas terrorist organization”. The United States has designated Hamas as a terrorist organization, and the European Union followed suit. But terrorism, one might say, like beauty, is in the eye of the beholder. Words can be so easily manipulated. It wasn’t so long ago that the U.S. claimed that it was fighting ‘insurgents’ in Iraq. These ‘insurgents’ had the temerity to defend their nation against outside invaders. Hamas, like the Iraqi ‘insurgents’, dared to fight for the people of Palestine when no one else would. But since they were opposing the interests of Israel and its main financier, the U.S., they were labeled ‘terrorists’. And Mr. Netanyahu thinks the flotilla aids Hamas. Well, perhaps he is correct, but not in the way he intended. When one considers that Hamas is working for the freedom and basic human rights of the Palestinian people, greater international focus on the brutal and illegal blockade does, in fact, help that goal. • “Ignores all the horrors in our region”. Mr. Netanyahu has saved the best for last. The Gaza Flotilla, rather than ignoring ‘the horrors in our region’, has, rather, cast a bright spotlight on them. The illegal blockade, combined with Egypt’s unspeakable cooperation with Israel, and Israel’s own apartheid policies, means that very little reconstruction material has entered the Gaza Strip since the Israeli bombing and invasion of the summer of 2014. Tens of thousands of people remain homeless; unemployment is the highest in the world; the area is fast exhausting its supply of potable water; electricity is a rare luxury; medical equipment is extremely limited. No, Mr. Netanyahu, the flotilla is not ignoring ‘all the horrors in our region’. For so long, whenever anyone compared the atrocities committed by Israel against the Palestinians with those committed by Germany against the Jews, one was immediately branded anti-Semitic. This knee-jerk reaction suited the purposes of apartheid Israel, and for decades prevented, or at least limited, criticism of that apartheid regime. This writer will risk the wrath of Zionists around the world by making an even more stark comparison. Mr. Netanyahu’s ‘big lies’ are now legion. In a sarcastic letter prepared for the participants of the Flotilla, he made this ‘big lie’: “There is no blockade of Gaza. You are welcome to transfer humanitarian aid through Israel.” These two statements are contradictory: if there is no blockade of Gaza, humanitarian aid would not need to go through Israel. The United States has always considered itself above the law, free to bomb, annex, kill, torture, invade or destabilize at will. Yet it reacts with shock and horror when any other nation emulates it. Any other nation, that is, except its fifty-first state, Israel. Let us imagine for a moment the response from the U.S. if Palestinian naval ships (which currently don’t exist; we are just being imaginative here) boarded and redirected unarmed Israeli boats on the open sea. One would expect the U.S. Air Force to respond, bombing the Palestinian ships. A resolution would be introduced by the U.S. at the United Nations, condemning this act of piracy. Sanctions would be issued against Palestine, crippling its economy (remember, this is all fantasy; the Palestinian economy is one of the worst in the world, due to the illegal occupation). Yet one should not hold one’s breath awaiting a similar response to Israel’s actions; the U.S. is nothing if not a proponent of the double standard. After all, does Palestine have a rich and powerful U.S. lobby? Do the U.S.’s alleged ‘representatives’ rely on the largess of that lobby to purchase and repurchase their seats in Congress? Since Israel has such a lobby, it can proceed with impunity. Or so said the old model. The international community is not quite as passive as it once was; global citizens are finally seeing Israel for what it is, and each of its crimes brings it additional criticism and further isolation. That apartheid nation continually increases its efforts to avoid international sanctions, and the tipping point will soon be reached wherein all its efforts will be in vain. When that happens, it will be a victory for justice, humanity and human rights. The Israeli occupation authorities deported five activists who were on board the flagship of a Gaza-bound flotilla a few days after Israeli navy had intercepted the boat. Israel released the five activists, including the Israeli (now carrying Swedish citizenship) Dror Feiler, after forcefully seizing the ship that was on its way to break the Israeli siege on Gaza. The newly released batch also includes the Russian journalist Nadezhda Kifrckova, who was warmly hailed and welcomed by a group of Pro-Palestine activists at the Moscow airport. The Russian journalist released affidavits on the mistreatment and bullying she had been subjected to at the hands of the Israeli prison authorities. She spoke out against Israel’s infringement of international laws and treaties, including the freedom of press and speech. 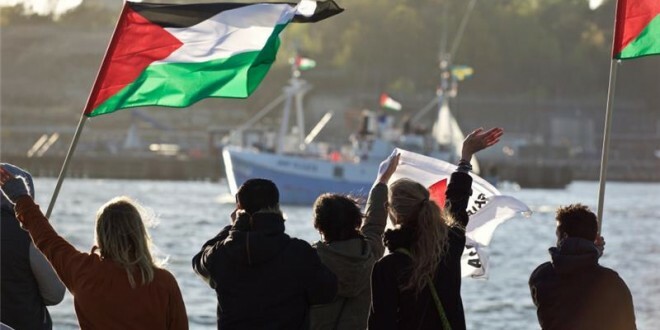 Earlier, one week ago, the Israeli navy hijacked the Swedish-flagged Marianne of Gothenburg, part of the Freedom Flotilla III, detaining all on board. The ship was then commandeered to the port of Ashdod as concerns mounted for campaigners on board. 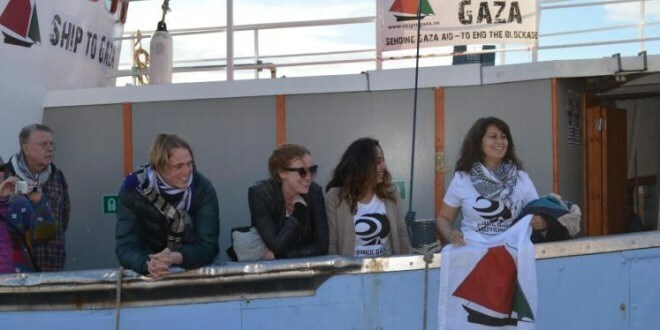 The International Committee to Break the Siege on Gaza (ICBSG) expressed on Thursday its deep concern over the Israeli continued detention of seven activists, who were on board the Flotilla boat Marianne while on its way to Gaza. Earlier Wednesday, Israeli authorities informed Freedom Flotilla Israeli lawyer Gaby Lasky of their intention to release three of Marianne activists identified as the Norwegian Herman Rekesten and the two Canadians, Robert Lovelace and Kevin Neish. The seven remaining Marianne activists still in Israeli prison are: Nadya Kevorkova, Russia, Kajsa Ekis Ekman, Sweden, Joel Opperdoes, Sweden, Gustave Bergstrom, Sweden, Jonas Karlin, Sweden, Charlie Andreasson, Sweden, Ammar Al-Hamdan, Norway, Mohammed El-Bakkali, Morocco, Dror Feiler, Sweden, and Ruwani Perera, New Zealand. Coordinator for the committee Zaher Birawi called for the immediate release of all the activists who are still illegally held in Israeli detention centers. He also revealed that the committee embarked on consultations with a number of attorneys and experts in the international law to prosecute Israel for its piracy of Freedom Flotilla 3 and for detaining the participants. On Monday, Israeli navy attacked the Marianne that leads Freedom Flotilla 3 in international waters, 100nm from Gaza, during one of its usual acts of state piracy, kidnapping 18 participants on board including the former Tunisian president el-Moncef el-Marzouki. 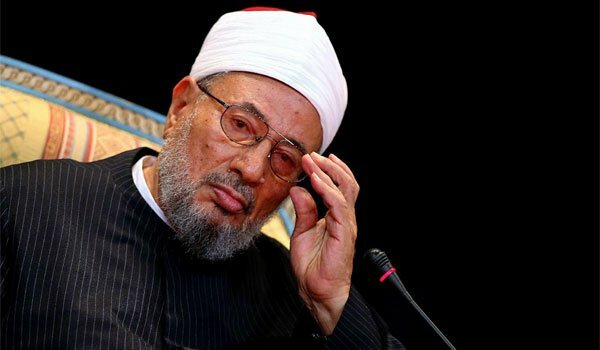 Chairman of the Global Union for Muslim Scholars yesterday called for lifting the Israeli siege on the Gaza Strip and hailed the participants in the Freedom Flotilla including former Tunisian President Moncef Marzouki. In a statement posted on Facebook, Yousef Al-Qaradawi called for lifting the siege and starting rebuilding projects. "Despite the widespread oppression, there are free people around the globe who challenge the oppressors and defend the oppressed," Al-Qaradawi said. "They do not care about their suffering to achieve their goals." "We salute every participant in the Freedom Flotilla III and we salute the courageous and free man who adopts the issues of his nation, the former Tunisian President Moncef Marzouki," he said. He also thanked all the activists who took part in the flotilla and suffered a lot in an attempt to revitalise the Palestinian issue. The siege is trapped nearly two million Palestinians in Gaza leaving them with amongst their destroyed homes, with no work, no education or proper health care, Al-Qaradawi said, calling for the siege to be lifted to allow the residents to live a decent life. Palestinian factions have accused the UN of being a partner with Israeli in the attack on Freedom Flotilla III, which aimed to break the nine-year Israeli siege on Gaza, Anadolu agency has reported. In a press conference held on Tuesday, Islamic Jihad Leader Khalid Al-Batsh said that: "The [Palestinian] national and Islamic factions announce their support to the Freedom Flotilla and the activists on board of Marianne, which was attacked by the Israeli occupation early on Monday while it was heading to Gaza." "We hoped that the UN and the international community would have protected the ships of the Flotilla and guaranteed their arrival to Gaza, but it looks like the UN is a partner in the siege and the international piracy practiced against this Flotilla," Al-Batsh added. In addition, he called on the international community to put more pressure on Israel in order to lift the siege on Gaza and build a seaport connecting Palestine with the outside world. Tunisian ex-president Moncef Marzouki said, Tuesday, that a Moroccan flotilla will be heading to the Gaza Strip within a few day, according to Ma'an. Marzouki reached Charl Degol airport in Paris, Tuesday morning, after he was arrested by Israeli forces on Sunday night. Marzouki was forced to Paris on Tuesday. Marzouki, according to news reports, described what the Israeli navy did to the flotilla as “piracy which won't stop us from supporting the Gaza Strip." On Monday, Israel deported Tunisian ex-president Moncef Marzouki and European parliament member Ana Miranda after they took part in a flotilla seeking to defy its Gaza blockade, an official said. Marzouki, who is widely known as a human rights activist, sailed aboard the Swedish ship the Marianne of Gothenburg as part of a four-boat flotilla that set sail from Europe last month. 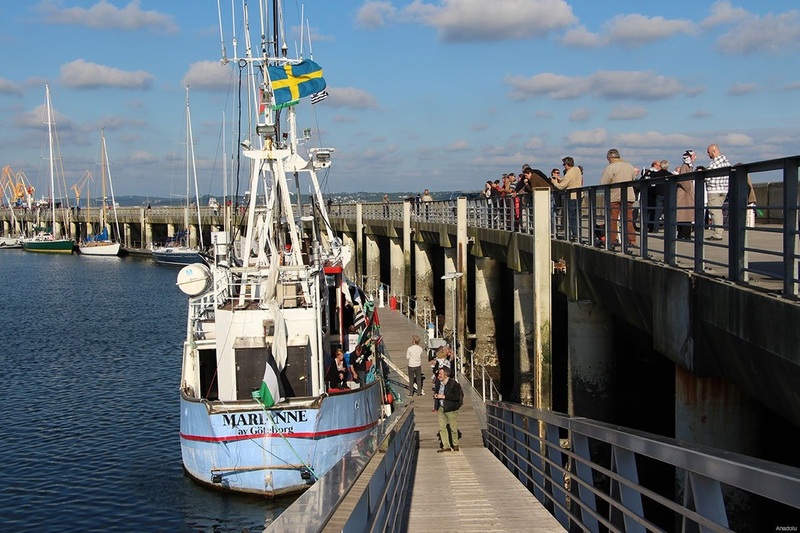 Israel commandeered the Swedish-flagged Marianne on Monday and accompanied it to the port of Ashdod. Sixteen foreign nationals were on board along with two Israeli citizens, Palestinian Knesset member Basel Ghattas and a television reporter. The two Israelis have been released, though Ghattas could face a parliamentary hearing on whether he should face sanctions. The four-boat flotilla of pro-Palestinian activists had been seeking to reach the Gaza Strip to highlight the Israeli blockade of the territory that they called "inhumane and illegal". The three other boats had turned back before the Marianne was boarded by the Israeli navy in an operation that took place without the deadly force that marred a raid to stop a similar bid in 2010. The activists' campaign came as Israel faced heavy international pressure over its actions in Gaza, with a UN report last week saying Israel may have committed war crimes during a 50-day conflict in the besieged coastal enclave last summer. Israel says the blockade is necessary to stop weapons from arriving in the Gaza Strip by sea, but international rights groups say it is collective punishment and has led to a humanitarian crisis for 1.8 Palestinians in the territory. The reconstruction of thousands of homes destroyed during the fighting between Israel and Hamas, Gaza's Islamist de facto rulers, is yet to begin, and both Israel's blockade and a lack of support from international donors have been blamed. In 2010, 10 Turkish activists aboard the Mavi Marmara were killed in an Israeli raid on a six-ship flotilla. Two South Africans, who were part of a team of activists attempting to bring aid to Gaza by boat, will return home on Wednesday morning, the National Coalition for Palestine (NC4P) told News24. The activists are Chris Le Bruyns, an academic and theologian; and Ismail Moola, one of the co-ordinators from the Palestine Solidarity Alliance (PSA). 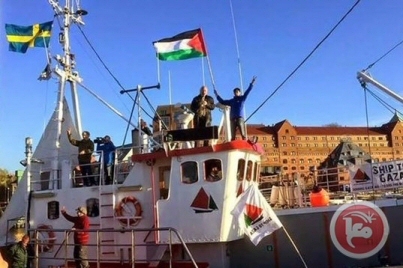 Neither were on the swedish vessel, Marianne of Gothenburg, which was seized by the IOF on Monday. “Dr Clint Le Bruyns was on-board a standby vessel, while Ismail Moola provided logistical support for three boats and 50 crew and passengers,” NC4P said in a statement. Both Le Bruyns and Moola were representing the Palestine Solidarity Alliance. 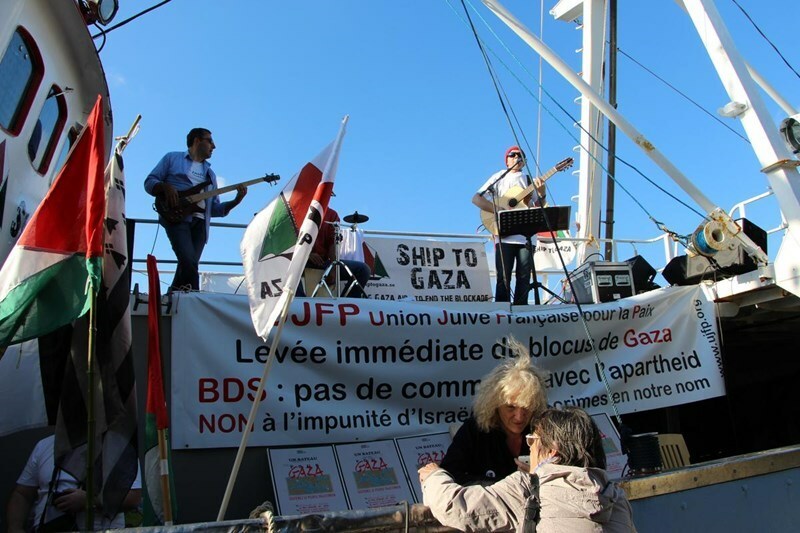 The “Freedom Flotilla III”, led by Marianne, was carrying humanitarian goods when it was intercepted. The boat was towed to the Israeli port of Ashdod where the crew and passengers were detained in Tel Aviv, NC4P said. On Monday, Moola told News24 that about 25 people including delegates and crew members were on board Marianne. Among them were Israeli parliamentarian Basel Ghattas, former Tunisian president Moncef Marzuki and Spanish Member of the European Parliament Ana Miranda. Ghattas and Marzuki have been released but most of Marianne’s crew are still being held in Givon prison in Israel. In May 2010, nine Turkish nationals died when Israeli commandos staged a pre-dawn raid on a six-ship flotilla seeking to break the blockade. A tenth activist later died of his wounds. Deputy head of Hamas Ismail Haneyya afternoon Tuesday spoke by phone with Tunisia’s ex-president Moncef al-Marzouki, hailing his serious and sincere efforts to break Israel’s eight-year blockade on the Gaza Strip. Haneyya congratulated Tunisia’s former president al-Marzouki for his safe return home after he was abducted by the Israeli navy, earlier on Monday, off the Gaza shore while on board of the Freedom Flotilla III. He hailed al-Marzouki, branding him an activist who represents the pro-Gaza positions emerging in the wake of the Arab Spring and the Arab revolutions. He also saluted all the activists on board the flotilla, who have run the risk of trying to break the eight-year Israeli siege on the coastal enclave. 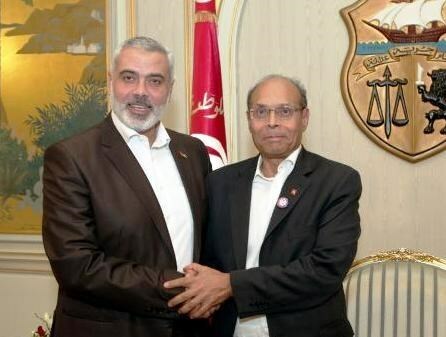 For his part, al-Marzouki thanked Haneyya for the phone call and reiterated the campaigners’ serious determination to arrive in Gaza no matter the risks and threats. 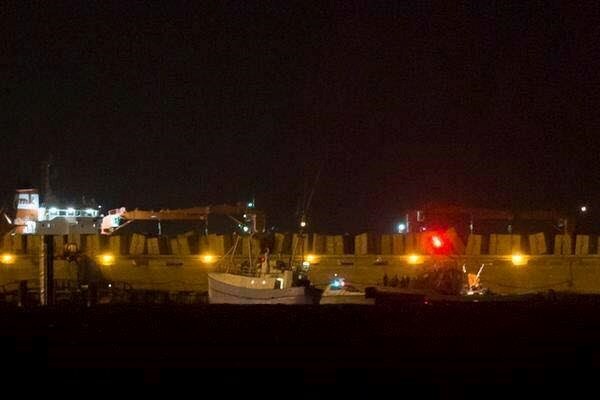 The Israeli navy intercepted the first of the flotilla's ships, the Marianne of Gothenburg, at dawn Monday approximately 100 nautical miles off the Gaza coast. The ship was towed to Ashdod seaport while a number of the activists on board were deported.